Which Southeast Asian countries require a visa, and which of these offer visa on arrival or e-visas? I'm regularly asked this by clients who haven't traveled recently to Southeast Asia, so I thought a post covering current visa requirements would be a helpful resource for them and for readers planning trips to Southeast Asia, for example ahead of the 2016 AAdvantage Award Chart Devaluation. Do U.S. Citizens Need a Visa for Cambodia? Yes, U.S. citizens need a Cambodian visa. So do citizens of most other countries, EXCEPT citizens of Laos, Malaysia, Philippines, Singapore, Vietnam, Thailand, Indonesia, Brunei Darussalam and Myanmar. If you need a visa, you can apply online for an e-visa. You can apply for a Cambodian e-visa (single entry only) for $37, which takes 3 business days to process. Your passport must be valid at least 6 months from the date of your entry to Cambodia, and you'll need a passport size photo in jpeg or png format. Plan on applying at least 2 weeks before you travel. Also note that you'll need to be entering Cambodia at Siem Reap International Airport, Phnom Penh International Airport, Cham Yeam (Koh Kong), Poi Pet (Banteay Meanchey) or Bavet (Svay Rieng) to be able to enter using an approved e-visa. Do U.S. Citizens Need a Visa for Indonesia and Bali? Do U.S. Citizens Need a Visa for Laos? Yes, although it's available as visa on arrival at select entry points, such as Luang Prabang Airport and Vientiane Airport. You'll pay USD $35 (as of January 2015) if you hold U.S. citizenship or UK citizenship; Canadians pay $42 and Australians pay $30. You must have completed the Laos Visa on Arrival Form and also have a passport size photo; alternatively, it costs $2 for have your photo taken there, which is what we did for our visit to Luang Prabang. If you're staying at Amantaka, you'll enjoy a meet and greet with fast track service, which will expedite the process so you can be on your way sooner. This service is also available for an additional fee from some Luang Prabang hotels; for example when booking a client at the Belmond La Residence Phou Vao, another Virtuoso property, it was quoted to me at $100. Do U.S. Citizens Need a Visa for Malaysia? Do U.S. Citizens Need a Visa for Myanmar? Yes, although now it's possible to get e-visa approval online which simplifies the process. 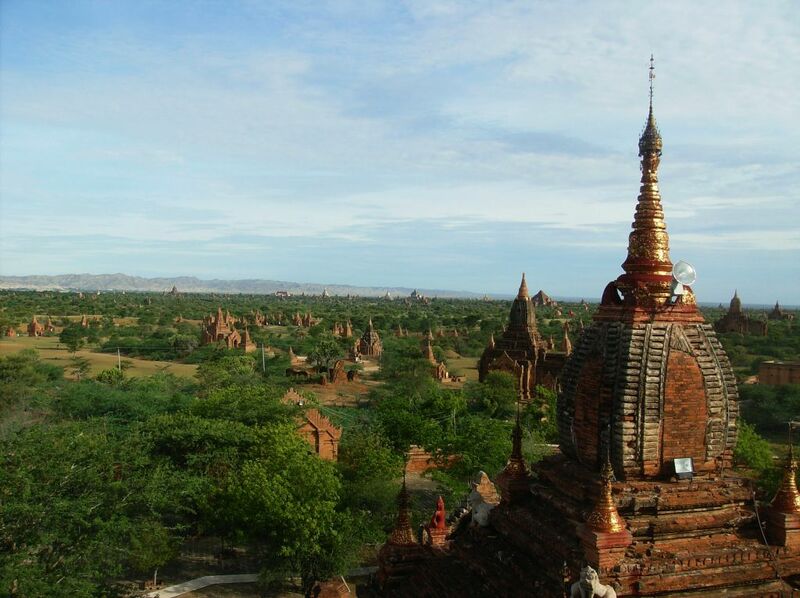 A Myanmar eVisa approval letter is valid 90 days from the issued date, and allows a visit of up to 28 days from the date of arrival in Myanmar. If your eVisa approval letter has expired, entry will be denied. The processing time is up to 3 working days, so count on applying for your eVisa about 1 month prior to travel. Go to the Myanmar eVisa page to begin your application. Digital color passport photo (4.8 cm X 3.8 cm) taken within the last 3 months. Do U.S. Citizens Need a Visa for Singapore? Do U.S. Citizens Need a Visa for Thailand? No, U.S. citizens don't need a visa for Thailand for stays of 30 days or fewer, if arriving by air (up to 15 days, if arriving by land). You must have a passport valid for at least 6 months after your date of entry to Thailand. Do U.S. Citizens Need a Visa for Vietnam? Yes, U.S. citizens need a visa for Vietnam. You can get an e-approval letter ahead of time, although you'll still need to get it finalized on arrival, and there was a lot of waiting around, in our case. If you need to get out of the airport quickly, I highly recommend getting a Vietnam Visa in advance, because of this. There are different agencies that can help with the process. We went with MyVietnamVisa and the process of getting the e-approval letter was simple, though be aware that there is “batch processing” so the letter you receive will have the names of several other travelers in addition to yours. For a one month single entry visa, the cost is currently $20 for the approval letter and $25 stamping fee, which is paid in cash at the airport when you arrive. Allow 3-5 working days for the approval letter. As always, your passport must be valid at least 6 months after your date of entry to Vietnam. What's your experience getting visas for Southeast Asia countries that require them? Become a TravelSort Client and Book Luxury Hotels and Resorts with Virtuoso and Preferred Partner Perks!